ACLU lawsuit argued the data collection should be stopped because it violates Americans’ privacy rights. A federal appeals court ruled a National Security Agency program that collects phone records on millions of Americans is illegal, intensifying a fight in Congress over extending the soon-to-expire surveillance effort. A three-judge panel of the Second U.S. Circuit Court of Appeals in New York eviscerated many of the legal theories under which the U.S. government has expanded surveillance since the Sept. 11, 2001, terror attacks. The judges didn’t address whether the NSA program violates constitutional privacy rights, as some groups allege, but found the Patriot Act language used by the Bush and Obama administrations to justify the program wasn’t meant to allow such mass data gathering. The NSA has used Section 215 of the Patriot Act—a 2001 law that expanded the government’s authority to search for terror suspects—to justify collecting records of nearly every call made in the U.S. The program gathers metadata—the number called, the time and the duration of the call—but not the content of the conversation. The intent is to look for possible contacts among terror suspects. The scope of the program was revealed in 2013 when former NSA contractor Edward Snowden leaked documents describing it, reigniting a debate over the data collection and whether it infringes on Americans’ privacy. 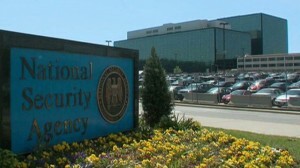 The ruling throws the fate of the Patriot Act into further disarray as lawmakers scramble to determine how to approach Section 215 of the law, which expires June 1 and is already the subject of tense negotiations over whether it should be reauthorized or face significant curbs.